With several new USPS shipping products being introduced each year, many shippers are often overwhelmed by the number of options to choose from when it comes to shipping their packages to customers. Moreover, with the USPS annual postage rate increases, a shipping product that might have been the most cost-effective and met all your shipping criteria in one year may not be the optimal choice in the following year. Stamps.com's BestRate USPS Shipping Rate Comparison Engine addresses this problem by taking out the guesswork from the decision-making process and also ensuring that you never overpay for postage. What is the Stamps.com BestRate USPS Shipping Rate Comparison Engine? Like its name suggests, the BestRate USPS Shipping Rate Comparison Engine is a rules engine that automates mail class and shipping rate selection for your packages. 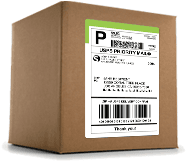 Once you set up these rules, Stamps.com will automatically select the best mail class for your package based on the attributes for that specific package, such as box size, delivery time, shipping rate and destination. Shippers can choose from a variety of ship method rules for their domestic, international and military packages. Use least expensive mail class – Best option for when the lowest shipping cost is desired. Order must arrive within … (select number of days) – Best option when package must be delivered by a specific date, such as 2-3 day delivery. Use First Class (Priority Mail if necessary) – Best option when 2 to 3 day delivery is required, but the lowest shipping cost is important. Always use Priority Mail – Best option when this specific mail class is desired. BestRate USPS Shipping Rate Comparison Engine will select the lowest cost option among all Priority Mail options. Always use Priority Mail Express – Best option when fastest delivery time is required, regardless of price. 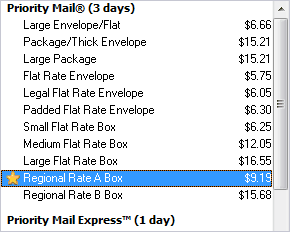 Which Priority Mail Option is Cheaper? 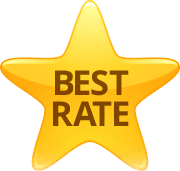 BestRate automatically selects the most cost-effective rate for your package, and places a gold star next to the rate so it is prominently visible from the list of shipping options available to you. How does the Stamps.com BestRate Comparison Engine Work? Mail Class Preferences: If you know you will never use a certain mailclass to ship any of your products, you have the option to turn it off. Once turned off, that mail class will never be chosen as best rate. This is a great option to avoid human error and eliminate confusion around the best mail class option to choose, especially when you have a number of people on your shipping team. Destination: Only services that are eligible for delivery to the package destination will be recommended. Speed and cost of delivery are determined by using the "shipped from" and "destination" addresses. 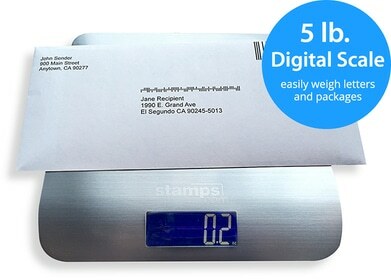 Dimensions/Weight: The Stamps.com BestRate USPS Shipping Rate Comparison Engine only recommends mail classes that are compatible with the dimensions and weight of your package. Required Delivery Time/Required Mail Class: You may use ship method definitions to specify how quickly your package needs to reach its destination or if a certain mail class must be used. The Stamps.com BestRate USPS Shipping Rate Comparison Engine takes these criteria into consideration when recommending the BestRate option. Any mail class that does not meet your pre-specified definition will not be recommended. For any package where all 4 parameters are not specified, the BestRate USPS Shipping Rate Comparison Engine will always push the cheapest mail class option available to the shipper.